Snack boards are a great way to mix things up when you entertain. For us they started as an easy way for me and Paul to enjoy snacks on the weekend. But they were the usual meat, cheese, and veggie type party platters. When that got old we graduated to more involved appetizers like this Steak Bruschetta Board. Since it works so well for two of us, I figured it would be a fun idea with friends. I love family-style dining because it really encourages people to talk while they eat. 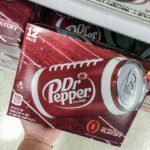 When stocking up on homegating essentials at Meijer my list was very intentional! 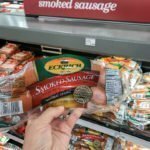 Select items like Eckrich® Smoked Sausage that could be repurposed into more than one tasty recipe. 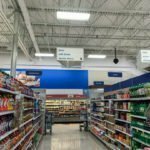 Plus I save a little money with my rewards. 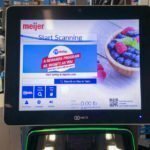 I love how the Meijer app suggests my favorites when they are on sale! 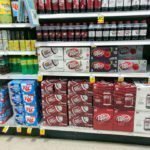 Dr Pepper® makes a great meat marinade and right now you can get this mperks offer and save $1 on any two (2) Dr Pepper® 6pk 7.5oz cans or 8pk 12oz bottles. Offer valid through 10/27/18 or while supplies last. My Arizona born and raised husband is a jalapeño popper aficionado. We have stuffed poppers with egg rolls and his favorite- Bacon Wrapped Meatloaf Stuffed Poppers. For this party platter I was making Sweet Chipotle Bacon Jalapeño Poppers! After that my biggest challenge was turning those same ingredients into other recipe ideas that made sense for my snack board. 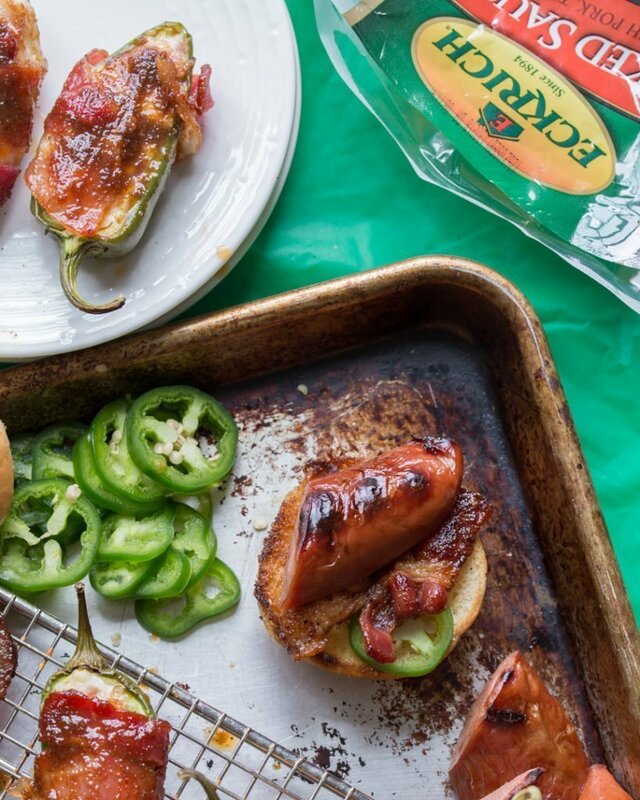 What else could I make with soda, smoked sausage, jalapeño peppers, bacon, and cream cheese?! 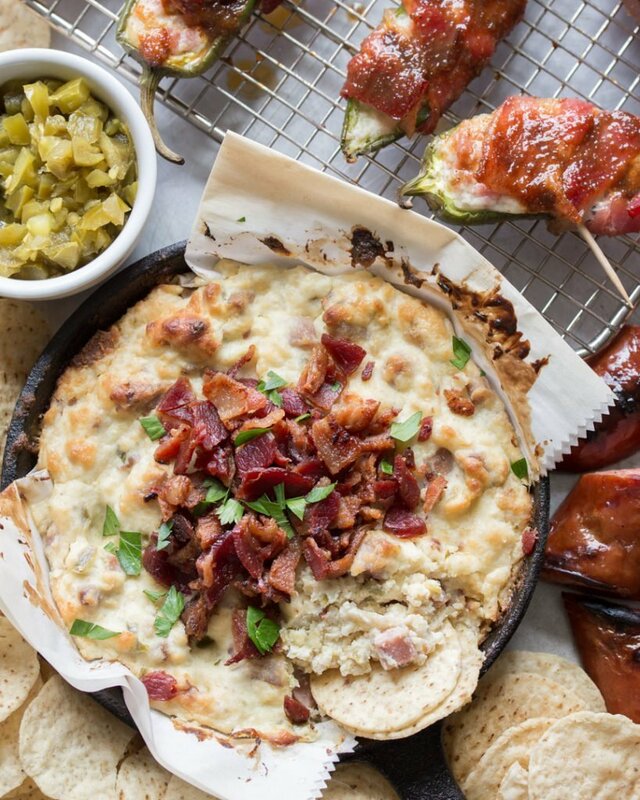 Jalapeño peppers are at the heart of this party platter. 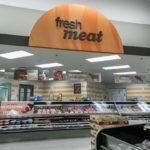 You’ve got them stuffed, pickled, fresh sliced, and mixed into basically everything. Even the sweet chipotle glaze. Did you know chipotle peppers in adobo sauce, the ones we love in the little cans, are dried, smoked jalapeño peppers? They are soaked in a sweet, slightly vinegary red sauce, aka adobo sauce. The adobo sauce retains some smokey heat from the peppers, but it’s pretty mild. For more heat, mince the peppers and use them in your recipes. Have you ever shied away from making jalapeño poppers because you were afraid of the heat level? 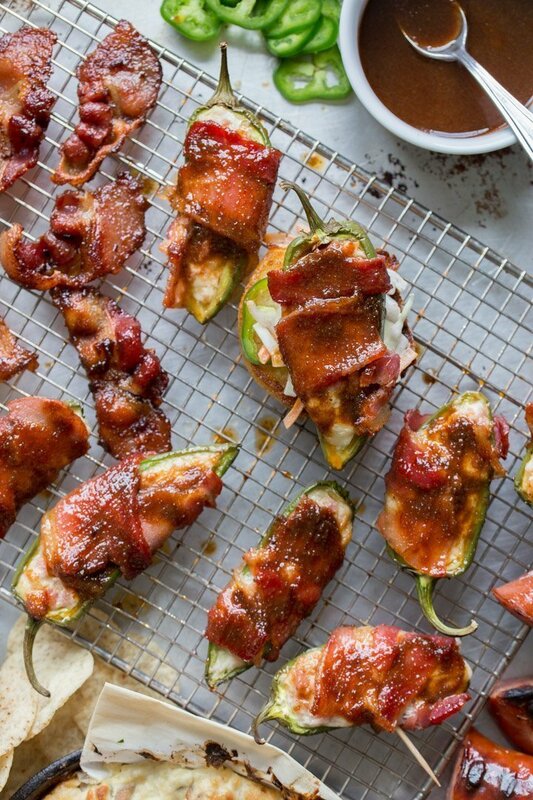 While you will never really know how hot a pepper is until you taste it, there are a few things you can do to minimize their spiciness when making these Sweet Chipotle Bacon Jalapeño Poppers. First off look for larger, smooth peppers with few or no lines on them. Those flecks and cracks appear as a pepper ages. The more mature a pepper is, the spicier it will be. Bigger peppers hold more filling- enough said. The spiciness of any pepper or chile is strongest in the ribs or inner flesh, not the seeds. Remove as much of it as you can when cleaning out your peppers for a milder heat level. Carefully use a paring knife or spoon to scoop out the insides of the peppers. Capsaicin, the stuff that makes a pepper spicy, will get on your hands so wash well. Or wear gloves when handling them! See if you can follow along! Diced pieces of rich, savory Eckrich Smoked Sausage goes in the popper filling. 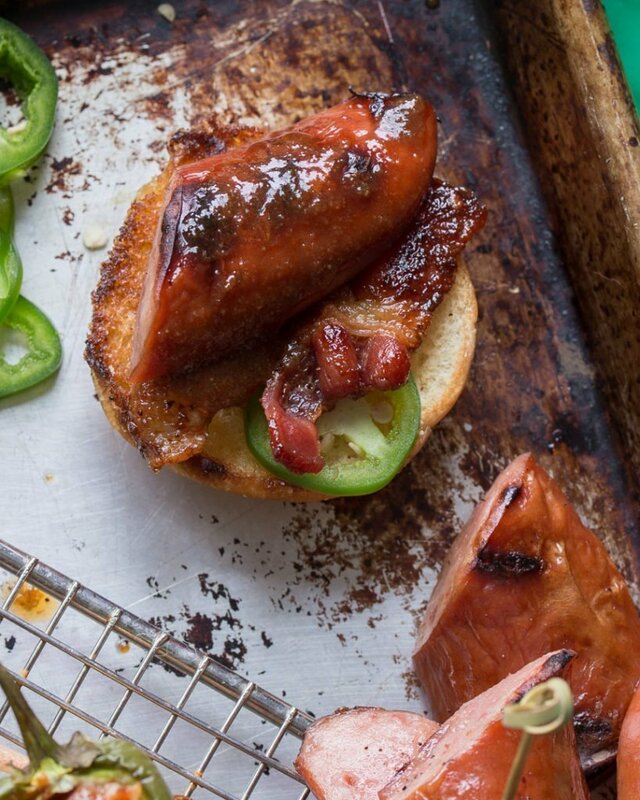 You can easily grill extra smoked sausage for sliders. 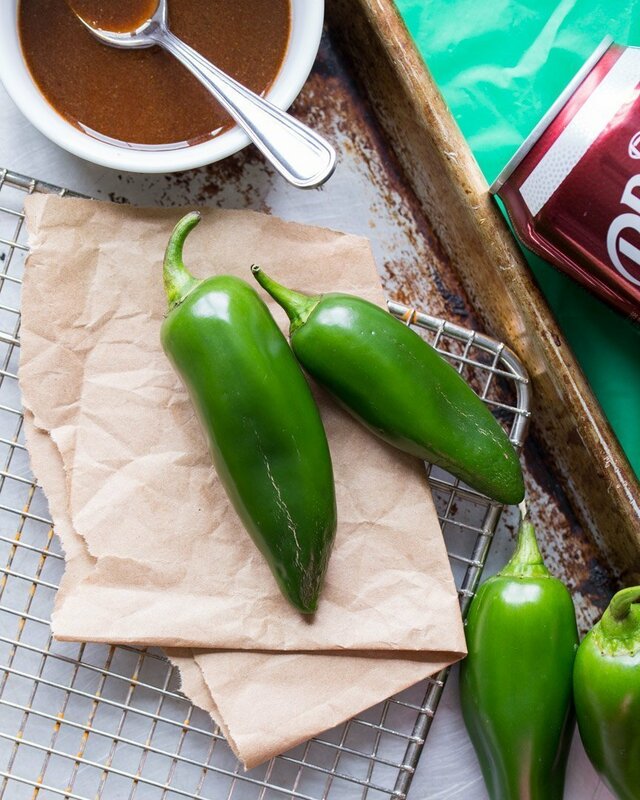 While guests sip on the one of a kind flavor of Dr Pepper, you will turn that indulgent taste into a sweet chipotle glaze. Be sure to candy even more bacon with the glaze, and then serve extra for dipping. That candied bacon is perfect on sliders. Mix diced jalapeño peppers into the extra popper filling (let’s face it- there’s ALWAYS extra filling) and make a hearty dip. Top dip with crumbled bacon. Bake alongside poppers, serve all of it warm with toasted buns and chips. Use elements like fresh and pickled jalapeño peppers and a simple coleslaw to balance rich, bold flavors! Your guests get snack options while you save a little money and hassle in the kitchen. 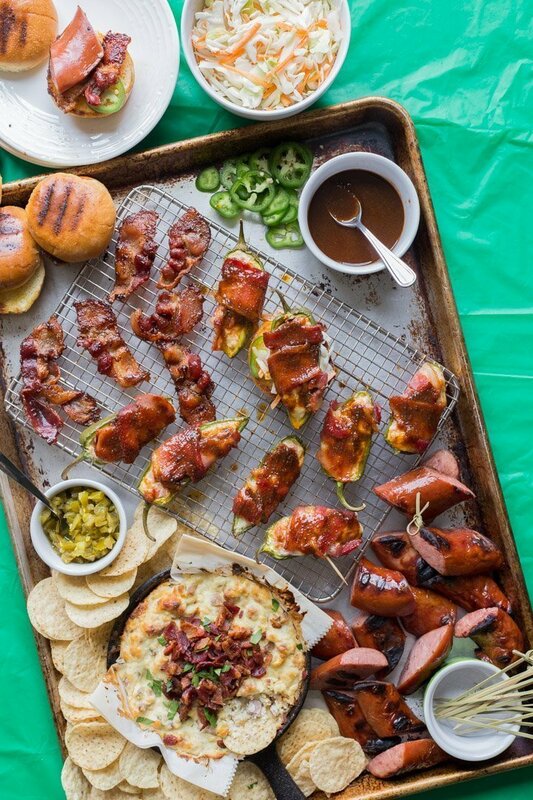 This Jalapeño Popper Snack Board is a homegating win for sure! 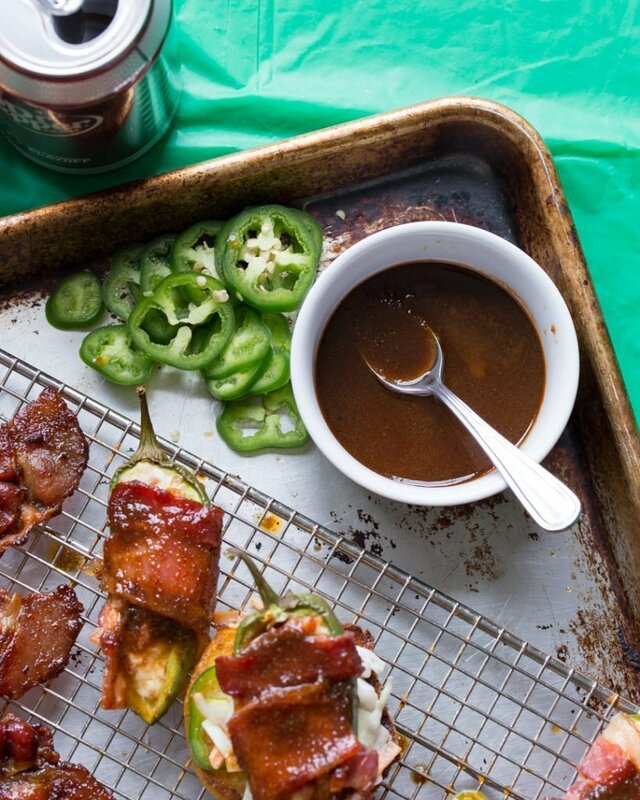 I hope you like my Sweet Chipotle Bacon Jalapeño Poppers as much as we do. 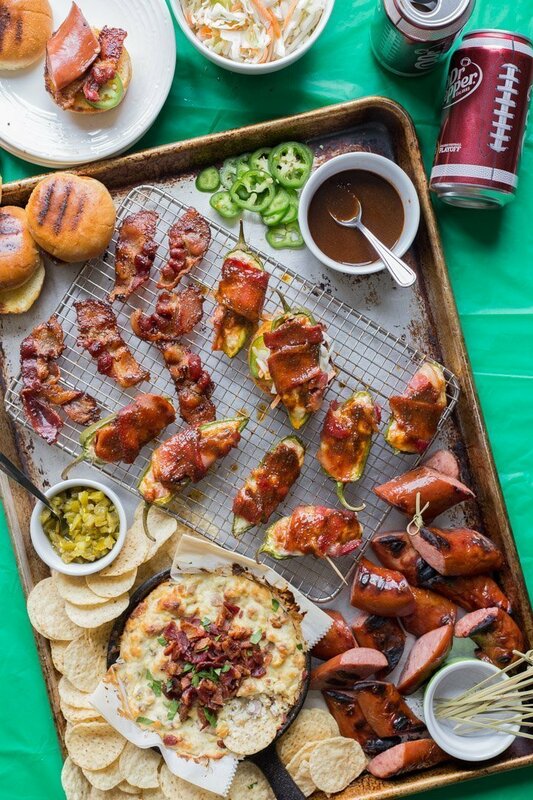 If you love these delicious bite-sized recipes and want more ideas for homegating snack boards, you can find more like it by checking out my Game Day section! For recipe inspiration delivered to your inbox, subscribe to my newsletter, follow my photography journey on Instagram, and for generally inappropriate humor follow like me on Facebook! 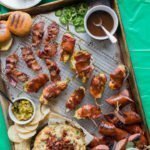 Sweet Chipotle Bacon Jalapeno Poppers with a filling made from cream cheese, grated pepper jack, and smoked sausage wrapped in bacon then brushed with a sweet chipotle glaze. Preheat oven to 375°F. Line a large baking tray with foil. Place a baking rack over tray, set aside. In a medium saucepan mix together soda, honey, garlic, powder and chipotles. Bring to a low boil, reduce heat and simmer 15 minutes until reduced by half. Cut bacon strips in half. Reserve 18 pieces for jalapeno poppers. 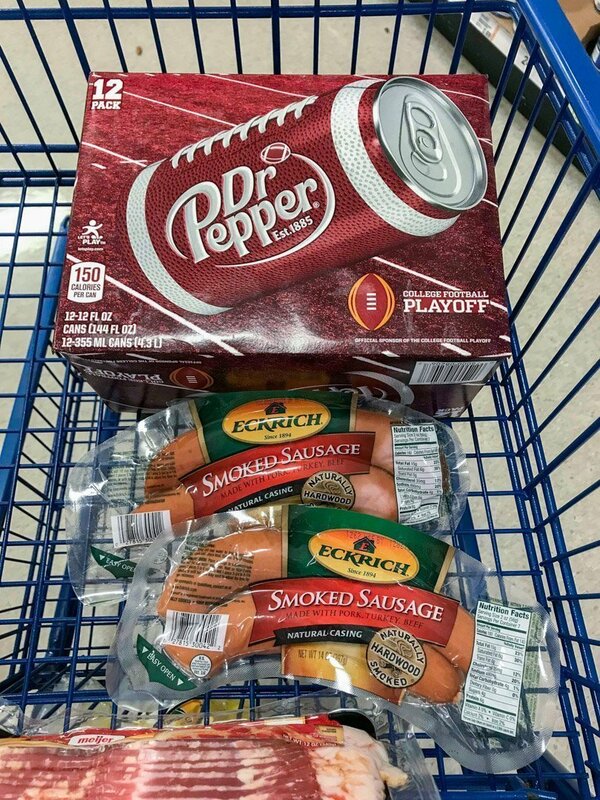 Prepare smoked sausage according to package directions. Let cool slightly, dice and place in a large bowl. Add cream cheese and pepper jack cheese to bowl, mix to combine. Cut peppers in half from stem to tip. Remove ribs and seeds. Fill each half pepper with cream cheese mixture and wrap in bacon. Place on baking rack. Repeat with remaining peppers. Back for 20 minutes until crisp. Brush with glaze during last five minutes of cooking time. Let cool slightly before serving warm. Tip - Mix diced jalapeno peppers into leftover popper filling and bake for a creamy, gooey dip. Grill extra sausage and serve with toasted buns and coleslaw for sliders. Cook remaining bacon and brush with glaze.